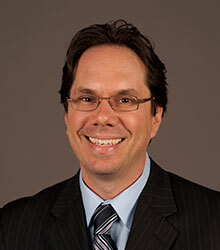 Matthew Rappaport co-founded IP Checkups® in 2004 after spending several years working with patent and text analytic software tools to develop a proprietary methodology for assessing the relationships between competitive patent portfolios. He has rapidly built IP Checkups into a pre-eminent source for quantitative and qualitative analysis and interpretation of patent portfolios. Mr. Rappaport has been a speaker at several conferences dealing with patent analytics, patent strategy, and the importance of patents to investors. He is a member of the IAM 250, Intellectual Asset Magazine’s list of the world’s leading IP strategists. He also serves as Virtual Professional-in-Residence at the University of Hawaii, Shidler College of Business. 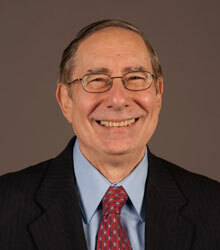 Irving Rappaport has been a licensed patent attorney for over 35 years. He has served as the head of IP departments in all of his positions and consistently allied himself with emerging technology companies. This is evidenced by his career which began at Raytheon in the late 1960’s. From there, Irving led Medtronic’s Intellectual Property program in the early 1970’s and went on to head Data General’s IP department in the late 70’s. He was then recruited by Bally-Midway to chase Pac-Man clones during the first video game revolution and was eventually brought to Silicon Valley as Associate General Counsel for Intellectual Property and Licensing at Apple Computer, where he built Apple’s IP department from 1984-90. Irving also spent time consulting for Intel and was VP and Associate General Counsel for IP and Licensing at National Semiconductor in the early 1990’s. With a talent for spotting up and coming trends, Irving identified the need to create tools for evaluating and manipulating patents that would keep the field of patent analysis current with the high tech explosion. Thus in 1992, Irving co-founded SmartPatents, Inc., a start up focused on converting paper patents into an electronic format. This enabled people to begin to develop tools aimed at assessing and manipulating patents in ways never before possible. In 1996 SmartPatents began developing a powerful software platform used for evaluating and assessing entire patent portfolios in their competitive landscapes. In 1998 SmartPatents changed its name to Aurigin Systems, Inc. At the time of its sale in 2002 the company had over 100 Fortune 1000 companies as customers. Irving is a co-inventor on 16 U.S. patents that underlie the Aureka® software, which is considered the pre-eminent platform in its class. Mark Garner manages IP Checkups’ technology infrastructure of tools and databases containing millions of patents and publications. He developed the underlying functionality and architechture of the PatentCAM software tool as well as for the CleanTech PatentEdge database. Mark’s deep understanding of patent information along with his mastery of Java, Perl and other tools enable him to enhance the quality and comprehensiveness of IP Checkups’ technology solutions related to text analytics, patent alerts, and managing IP portfolios. 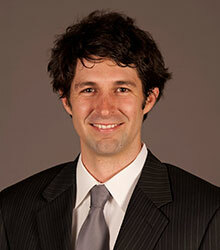 Mark has also overseen projects related to voice recognition, audio technologies and software systems integration. Prior to joining IP Checkups in 2006, Mark spent five years as a professional audio and recording engineer for headlining acts and major outdoor festivals throughout the country. He earned a B.S. in Computer Science from the University of Oklahoma.